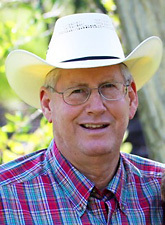 Throughout most of his life, Ken Weekes has been in business dealing with agriculture in Wyoming, Montana, and Idaho. During his early years, he worked on ranches and feedlots, then moved on to Ag sales, founding Ken’s Ag Center in 1984, selling feed, seed, and other agricultural products. His business included 25 salesmen and covered the Big Horn Basin working through Park, Big Horn, Washakie, Hot Springs, and Fremont Counties. Ken and his wife own a home and farm west of Greybull, Wyoming as well as a home in Buffalo, Wyoming. He served three terms as the President of the Wyoming Agri-Business Association. Buyers and sellers will benefit from Ken’s experience in sales and his knowledge of farm and ranch real estate. Ken is licensed in Wyoming.